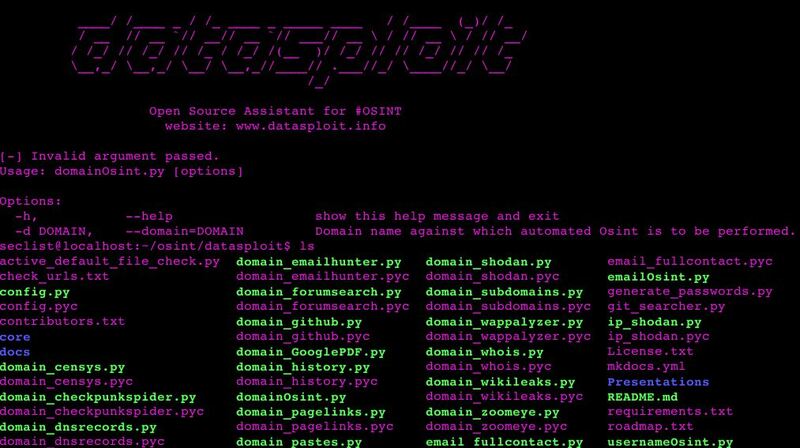 Browse: Home / Datasploit updates – A tool to perform various OSINT techniques. + Performs automated OSINT on a domain / email / username / phone and find out relevant information from different sources. + Useful for Pen-testers, Cyber Investigators, Product companies, defensive security professionals, etc. + Correlates and collaborate the results, show them in a consolidated manner. + Tries to find out credentials, api-keys, tokens, subdomains, domain history, legacy portals, etc. related to the target. + Available as single consolidating tool as well as standalone scripts. + Available in both GUI and Console. ← WiFi-Pumpkin v0.8.3 – Framework for Rogue Wi-Fi Access Point Attack.